Hardboz Construction and Projects 25 has two divisions namely, Building & Civil Engineering and Security Services.It is 100% black owned and managed,with great prospects of growth in the near future.It has a 3GB PE cidb grading. 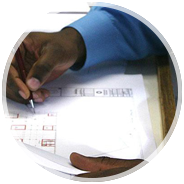 The Building & Civil Engineering Division – was established in 2010.This division unites the expertise of a number of role players in the consruction industry.The role players are handpicked professionals with extensive experience in the field of construction.The company is an emerging black company committed to contributing to the development of South Africa. To safely and profitably serve our client's construction needs while maintaining a reputation for quality,integrity and employee satisfaction. To remain committed to the betterment of life of our people by the construction of Buildings,Roads,Pavement and the provision of related services. To bridge the gap between rural,Townships and Informal Settlements through skills development program which will ensure that we (youth) all participate, contribute in the economy and creation of employment opportunity. Hardboz is committed to being number construction contractor that is known externally for quality, integrity and resourcefulness,and internally for profitability and employee satisfaction. 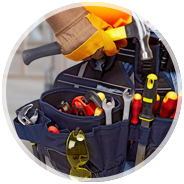 As a general contractor ,our services begin with pricing. control and adherence to the schedule.